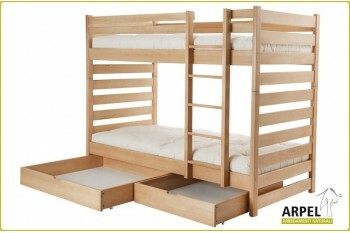 Single or bunk beds that can be provided with comfortable space-saver drawers or pull-out beds. Robust solid beechwooden structure treated with eco-friendly non-toxic varnishes. 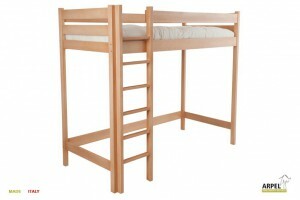 The Heaven Bunk Bed in solid beech wood can be 160 or 180 cm high and is equipped with a sturdy ladder and beech slats included in the price. 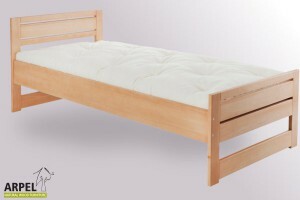 This bed is for a 90 x 200 cm large mattress. You can choose to have it in natural beech (transparent finish) or whitened beech.